In the United States, medical devices are regulated by the Food & Drug Administration (FDA). Most medical devices are required to follow specific design control processes and comply with FDA 21 CFR part 820 Quality System Regulations. As a leader in the control, management, and monitoring of medical gas systems, our commitment to the medical field encourages us to stay on top of design controls in medical devices, product development, and risk management. Don't have time to read all the benefits right now? According to the FDA, "Medical devices are assigned to one of the three regulatory classes based on level of control necessary to assure safety and effectiveness of the device." Class III - the highest level of risk and the most complex (These devices usually sustain or support life). The classification is based on the risk associated with the device. How long will the device be used? Is the device surgically invasive? Will the device be surgically implanted? Does the device contain medicinal substances? 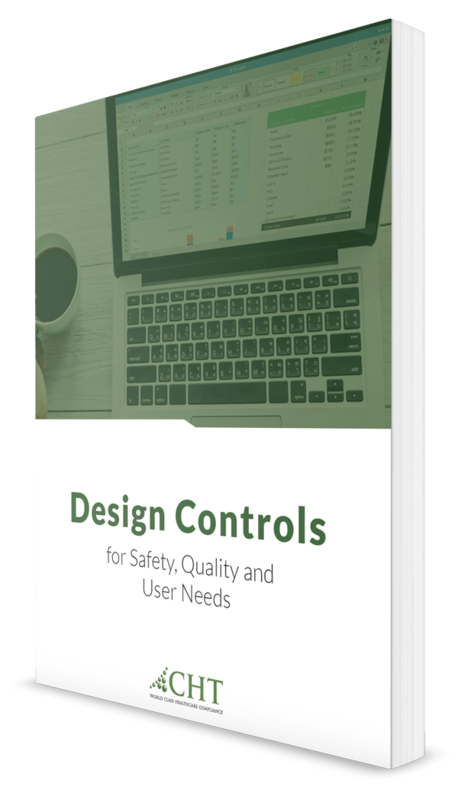 Design controls are set to provide the designers and engineers with visibility of the design process. Adhering to this process increases the opportunity to recognize problems at an earlier stage and make the necessary corrections. Design controls can be applied at any stage of the product development process. Its goal is to make certain the device meets user needs and its intended purpose. 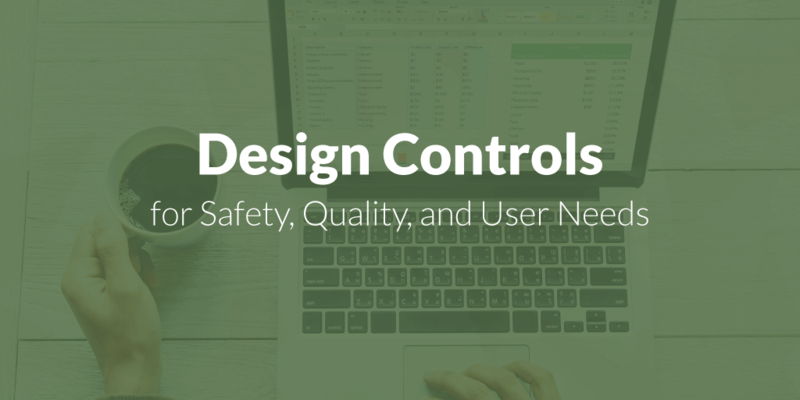 Design controls are part of the larger product development process. Product development converts an idea into a physical form. Part of this process includes the concept and testing through prototyping. The prototyping methodology allows you to design a working prototype or early sample of your device. One of these models, the Waterfall model, is a useful tool when introducing design controls. The Lean and Agile approaches can also be utilized in medical device product development. "Proof that you have designed a safe product that meets user needs and requirements." Jon Speer, founder & vice president of QA/RA, greenlight.guru also adds there are a few design control absolutes that must take place and be documented. Design control and risk management work hand in hand. Risk management is a necessary part of any product development lifecycle. It identifies, analyzes and reduces probable product issues. There are distinct policies, procedures and practices used to analyze, evaluate, and monitor risks in medical devices. Risk management improves the overall quality and safety of medical devices. At CHT, we think of risk management as an approach to manage uncertainties related to a threat through risk assessment. We evaluate the immediate threat to life: the likelihood of harm to a patient, staff or visitor. The likelihood to harm falls into categories of high (likely), moderate (possible) or low (rare). The CHx program for medical gas systems provides a statistical history base for your risk assessment program. 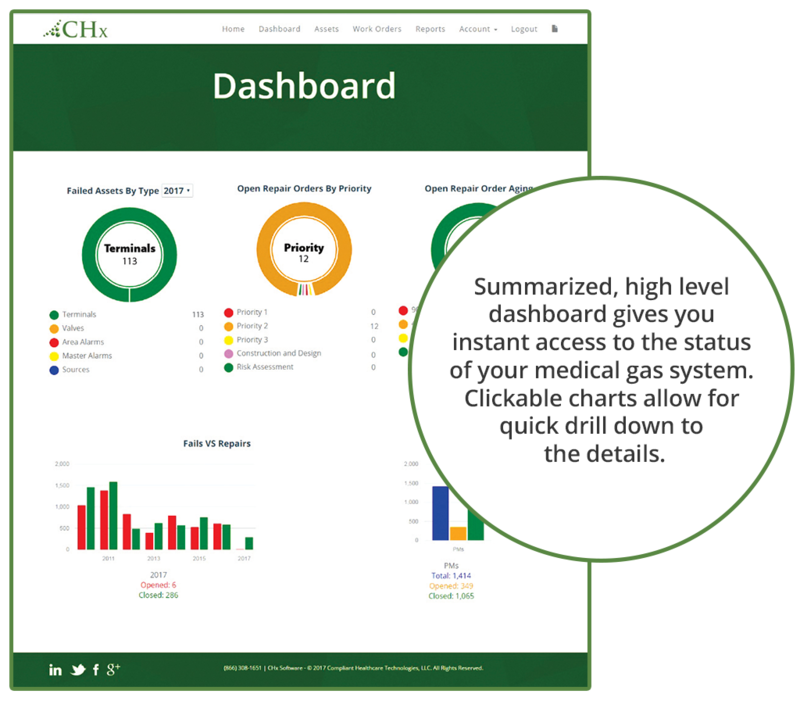 The dashboard is designed to help healthcare systems manage their medical gas programs more efficiently. The pie charts on the dashboard above paint a picture of your efficiency by demonstrating how much work was done and the declining deficiencies year-to-year. The quality risk with medical devices involves risks to the longevity of the device during the product lifecycle, which includes risk to the patient. The risk level is broken down into four types; critical, major, minor and negligible. Critical has the highest potential for causing unsafe conditions, while negligible has no potential for patient injury. Use risk control to reduce risks, keep patients safe and become more efficient. With medical device development, document control and records management need to be maintained. An effective way to do this is through an overview of the process and changes. It's important to show the history of revisions with its approvals. A design history file (DHF) is an accumulation of records with the design history from start to finish. It should include identification of the design, date, and individuals performing the review. Having a system in place will eliminate missing documents and records. Medical technology manufacturing is a complex process. Medical device manufacturers rely on suppliers that may not fully understand the intricacies involved in the process, design and manufacturing. This could potentially create a problem for the manufacturer because, in the end, the manufacturer is fully responsible for compliance. It is imperative to work with suppliers that are compliant and have a proven track record. There must be clearly established quality requirements, updated specifications, and suppliers that will participate in the validation process. MasterControl provides a "full line of industry-specific quality and compliance software solutions and services." This, in turn, enables regulated companies to accelerate its compliance and get to market faster. One solution is MasterControl's Document Control Software. It organizes and tracks documents, which allows companies to reduce costs and help eliminate audit and compliance difficulties. Documentation is reviewed at each phase of production. As discussed earlier, the Design History File is an accumulation of records. If the DHF is not complete, additional time and effort are needed to supply the required information for a review or FDA inspection. The quality standards of medical devices consist of design control, risk management, document control, and supplier management (at the bare minimum). At CHT, we continue to provide innovative technology solutions that help facilities strive for a simple, safe and secure way to manage healthcare compliance and patient safety. Tim has been working in the medical gas industry since 2002, and is dedicated to establishing long-term relationships by surpassing the needs of his clients. Tim holds a BS in Biology from Concordia University Wisconsin, maintains ASSE Medical Gas certifications as an Installer, Verifier, and Instructor.